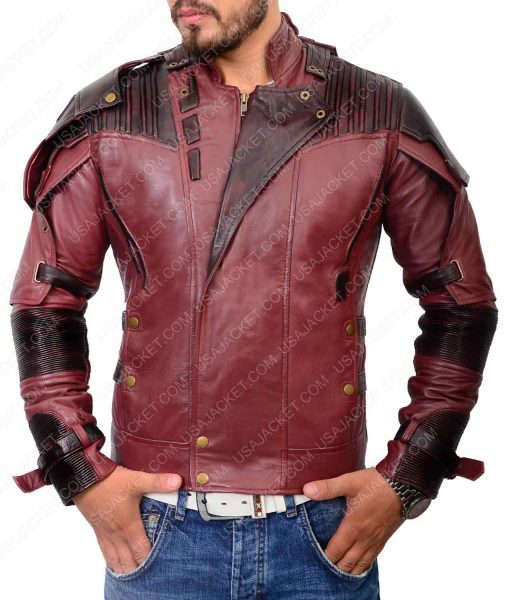 Join the force of Guardians by getting into this Guardians of the Galaxy Vol 2 Star Lord Jacket that is designed and made of PU leather. Due to PU leather, this jacket becomes a lightweight outfit with the glamour of real leather because of the waxing done on the exterior. The Star Lord 2 Jacket also has viscose lining for the astonishing cozy feeling plus warms you inside when it’s breezing outside. The jacket has two inside hidden pockets whereas there are no outside pockets just to make it authentic like Chris Pratt’s jacket. The closure style made in this jacket is full front zip closure underneath snap-tab flap that you can easily fold from collar for quite original look. The jacket also has belted cuffs and complete padding design that gives you the strength to save the galaxy by single hand. So don’t wait to grab your Guardians of the Galaxy Jacket to cosplay Star Lord. I liked my jacket. I genuinely ordered my jacket in small size. Before ordering, I made sure what size will fit me perfectly according to their size chart and my jacket fits well. There was a very big conversation with the customer service team and they answered all of my questions well and politely. The price of the jacket is high but after I got my parcel and watching the quality, I felt that the price is reasonable. The quality is thick, the color is superb and best stitching. It’s a quality biker style and if you’re looking to wear it on con like me, grab it today. This jacket is as accurate as it looks in the picture. I’m glad that i purchased this star lord jacket from you guys. It fits just as hoped. I just can’t tell you how satisfied I am with you guys. I’ve bookmarked usajacket for future purchases. To make sure that I get the best fit size to cosplay Star Lord, I double checked my measurements and asked numerous questions to the customer support team who answered all politely and frequently. In result, I received a packet that fits me perfectly. So note if you’re having trouble in getting your size, contact them and they will guide you. Looking on the quality, it was an authentic jacket. Not too thick to hesitate your movements. I wear a t-shirt inside and still have room to wear hoodie or shirt with it. If I describe the quality more, you can easily wear it in winters with a hoodie (how I use to wear) and it won’t leave you alone in summers as well. It’s spring here already and I’m wearing it without any problems. 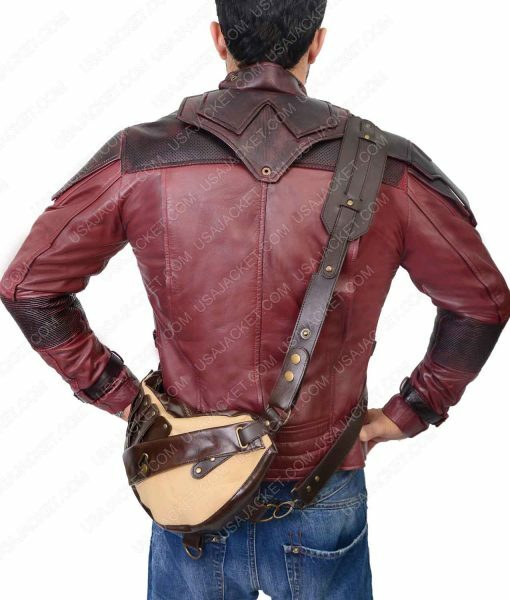 Worthy jacket and most important thing, accurate as Star Lord’s Jacket. I’m happy with the seller. It’s my second star lord jacket that im purchasing from this seller. I purchased the first edition few months ago and now this. Both jacket I ordered in the same size but this one has a bit more room because I complaint them previously that the jacket is a bit tight for my physics. This jacket arrives more quickly than the previous one (seems like they are working on their services, LOL). I’m 6’ and my chest and arms are trained (gym 3 times a week) and medium fits me perfectly (neither too tight nor too loose). The length of the sleeves will disturb you a bit, it was 2” long and the edge was coming over my palm. The odor of the jacket won’t disturb you. You can simply take it out of the packet and wear it. You can wear it as your casual jacket if you’re not shy like me. It’s a nice jacket. Nice jacket! Very well made and looks exactly the same. Recommended! Best jacket to upgrade the Star Lord style. Actually, this jacket exceeded my expectations for it. It was a present for my friend who’s a very big fan of Star Lord and I promised him that one day he will feel like him. But now it’s tough for me to decide either to give him this jacket or to hang it in my wardrobe. Definitely I will order one with the Star Lord coat that this seller is making. The fit of the jacket is good. I ordered large for his muscular body but for me, I will prefer that I should get medium. im 6’ with no trained physics. The quality is much better for the guardians fan. It’s simply five star jacket for its quality, fit and details. The jacket is identically the same like Star Lord wears in the movie. This jacket is great, identically the same and looks more authentic when worn with the mask. The company is nice to talk and to purchase with it. It took a day more than expected but im satisfied with the quality. Will look better to wear with the Star Lord coat. Thinking to buy it next. 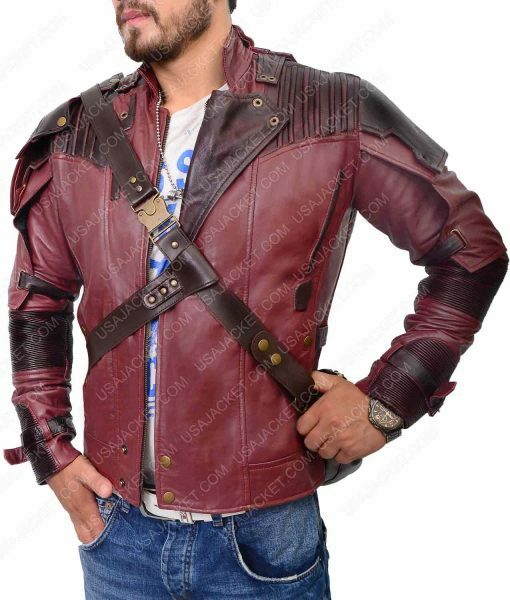 This is the best jacket for Star Lord vol 2 I have came through so far. I ordered this coat in size XXL. The jacket fits as expected. However, the snap tab was coming off the jacket so I had to fix that before going to con wearing it. Good purchase. This jacket is really nice. There is a slight difference in the color and the color of the image displayed. 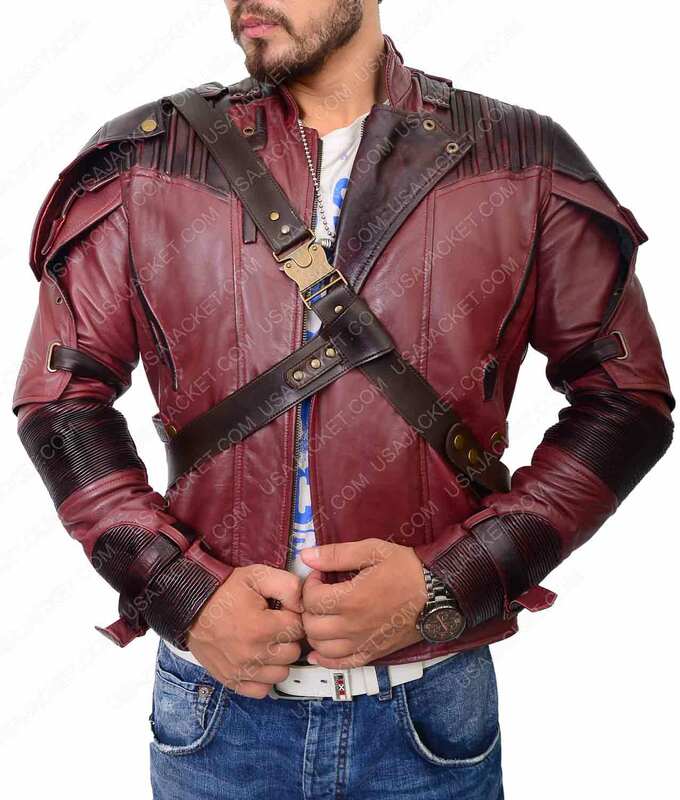 It’s waxed jacket that make it look like Star Lord has worn this and had a battle as well. I loved the distressed pattern of the coat. I loved the shipping time. They just delivered the coat in two days after placing my order. Though it’s a nice and tough jacket. Doesn’t matter if you’re not a cosplayers, this can be your daily wear jacket that will look fabulous with beige color trouser. Answered by the admin	Yes you can claim the jacket for return and exchange or certain conditions that are all mentioned in our return and exchange policy. Thank You!